This was written two years ago to mark the 30th anniversary of the mass killing of Sikhs in India, following the assassination of the then Prime Minister, Indira Gandhi. The situation, two years later, remains pretty much the same, with politicians of all hues and the media, as well as the present state and Central governments, doing nothing. For everyone, but the victims, the “riots”, as they call it, are a closed chapter. Thirty years ago to the day, a genocide against innocent Sikhs in India started. Thirty years ago, also to the day, top ruling Congress Party politicians led gangs of goons who went about torching Sikh homes in several Delhi localities. 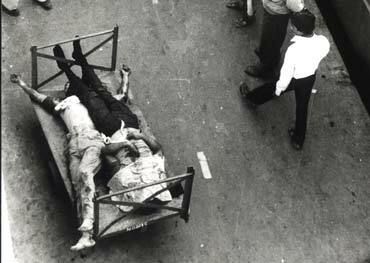 It was also then Sikhs, young and old, who were butchered – shot, slit and tires flung around their necks and set ablaze. It was then that the police and administration looked the other way, and even assisted the killers, identifying Sikh households to target. Around 3,500 Sikhs died in Delhi alone and several hundreds others in other parts of India. Indeed one political party has conducted unjustified revenge on innocent and ordinary people who had no connection with assassination! I understand..Many political actions & crimes are never tried or settled.